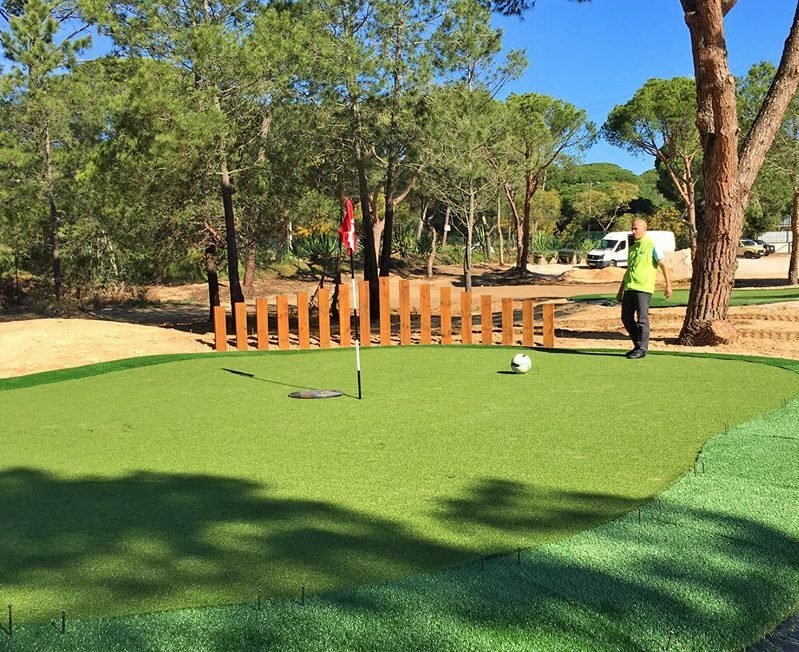 What will we be doing during on the Foot Golf Algarve? This 9 hole course is a purpose-built footgolf (sometimes called “foot golf”) course. Set between trees and bushes on undulating ground, It gives you a feel of a mixture between a desert and a forestall course. You can play it twice and thereby play a full 18 holes. Some of the holes will have dual tee-boxes and most holes can be played “one way or the other”. Great for stags, groups and kids! Footgolf is played like golf on a course like golf, with the difference that you kick a football around instead of hitting a small golf ball with a golf club. The cup on the green is obviously larger than normal, so it can room a football. The lengths of the holes on our course are between 35 – 95m and divided into par 3, par 4 and par 5 holes.